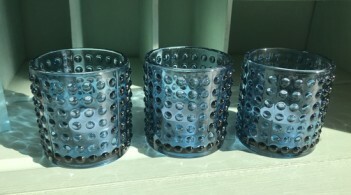 Lovely blue glass tealight holders with a textured bobble design. 7.5cm wide and 7.5cm tall. Please note the information on our delivery page regarding sending glass items.